A Statutory Declaration and Certificate of Non Trading (if appropriate). Draft Board Meeting Minutes for completion. Elective, Ordinary and Written Resolutions (Elective resolution to be signed and filed at Companies House). Completed Combined Statutory Register (Never have to manually complete this again). This package is for companies that will never trade, and have been set up merely to protect your company name. 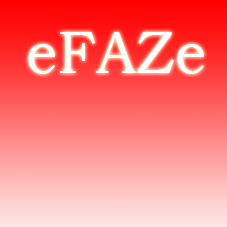 eFAZe Nominees will act as director, secretary and shareholder. The registered office will remain at our registered office address. The cost (£24.99) is payable annually, before the documents are filed, we will send you a reminder nearer the time for payment. We will manage the company for you - the fee for filing the annual return is not included in the price of renewal. We will also file dormant accounts. Do not select "Dormant Company Maintenance" or "Act as Registered Office" or "Company Secretary" additionally. The option of Detailed Registration is not available with this package. If you later decide that you wish to trade, or wish to appoint your own director and secretary, and/or transfer the subscriber share, you can activate the company using one of our upgrade packages on the related products page at a cost of £15.95 for the standard company formation.